This week, Sony announced the latest model in its range of mirrorless cameras with an APS-C sensor: the a6400. Unlike the existing models in the line-up, it features an LCD screen that flips up 180 degrees to facilitate vlogging and selfie shooting and a more advanced autofocus system. Another popular model that houses an APS-C sensor is Canon’s EOS M50. Despite being an entry level model, it is the first camera in the line-up to feature the new DIGIC 8 image processor and 4K video. 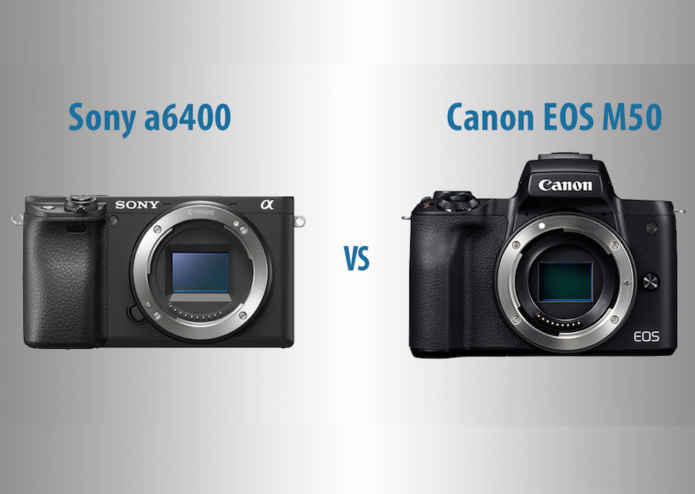 Because it shares a number of characteristics with the Sony camera, we felt it would be interesting to pick out the main differences and by doing so, hopefully help you decide which is best for your needs.